Groschopp manufactures highly engineered horsepower motors and gear motors. One custom feature that they were looking for in their redesign was a custom search tool for users to find the right motor for their needs. y building Groschopp a search tool using a complicated algorithm and back-end database. The form includes fields such as Motor Type, Voltage, Speed, Torque, etc. 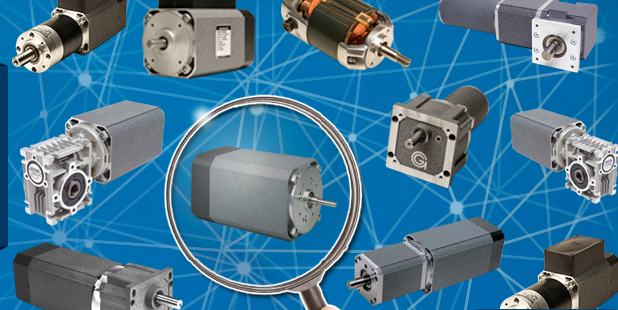 to match you with the right motor based on your requirements. 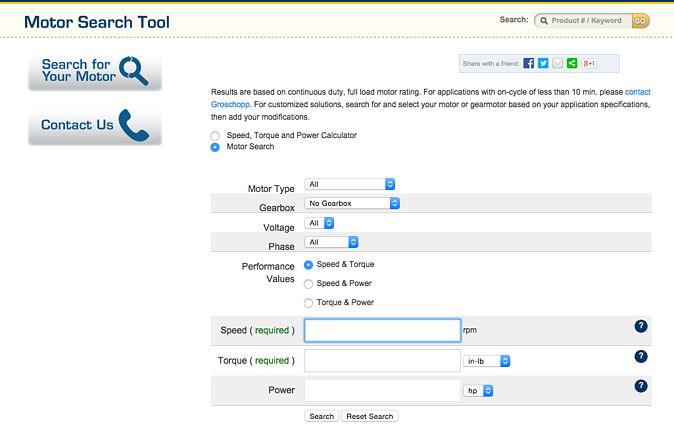 The motor search has been an extremely utilized tool on the website. In 2014 alone, the Motor Search Tool averaged 65 pageviews per day - 20 unique. That's 23,806 pageviews, 7,401 unique in 2014. Also in 2014, those that entered the site on the Motor Search Tool stayed on the site an average of 131% longer than those who entered on any other page, and viewed 127% more pages. By creating a custom tool for your website, users tend to stay on your site longer and engage with more of your content. For other industries, tools or resources could include calculators, interactive maps, tutorials, surveys and much more.